Allows laser or camera to be easily screwed on to the tripod. Clips allow easy extendibility of tripod. 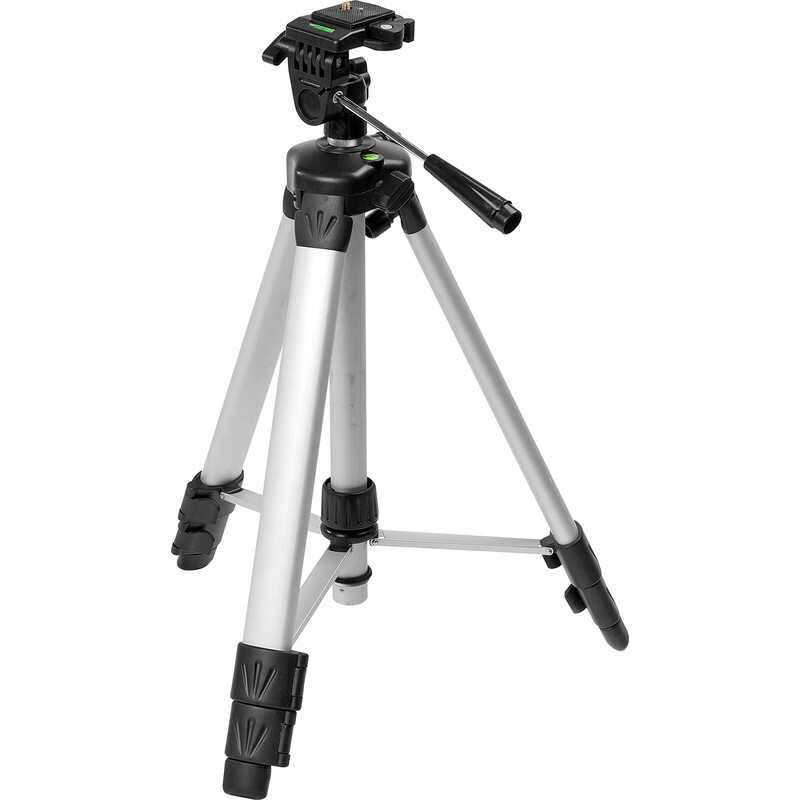 Ergonomic and compact design makes tripod easy to carry. Includes Level to position device accurately. Side handle provides easy manoeuvrability of device. Side wheel helps to adjust height of the tripod. Stanley Laser Tripod is rated 4.0 out of 5 by 1. Rated 4 out of 5 by Steve_Oxford from Good value for money I bought this to do my kitchen, its a little wobbly when the telescopic bit is initially wound up but the thumb screw keeps it straight when tightened. Aside from that its a useful bit of kit. I set it up in the corner of the room and it allowed me to work all round. Tiling, worktop and cupboards are all straight so proofs in the pudding. Good for the money.